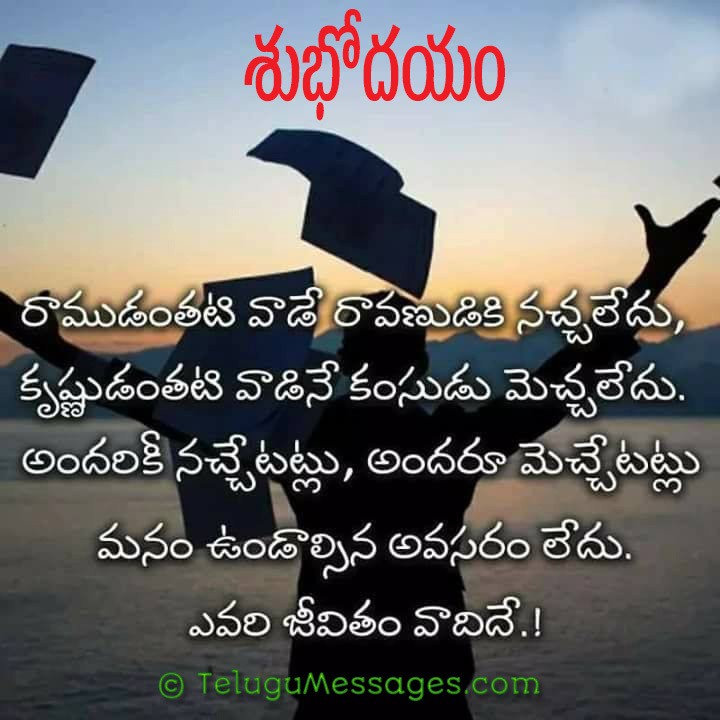 Good Morning Quotations for Whatsapp: Everyone needs some inspiration to start their day. 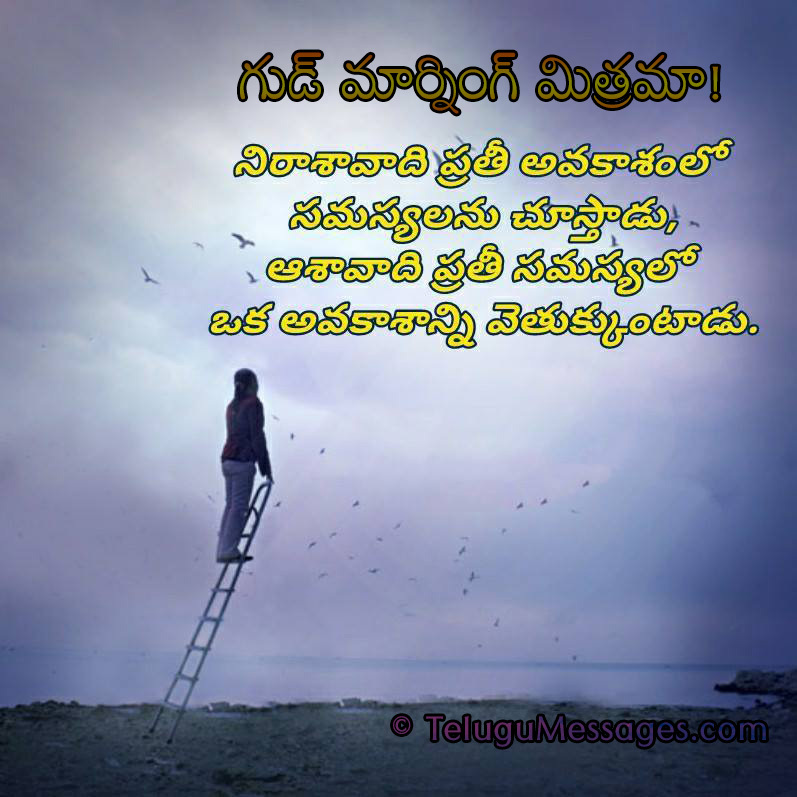 We can inspire our friends, relatives, boy friend and girl friend by sending good morning quotes. 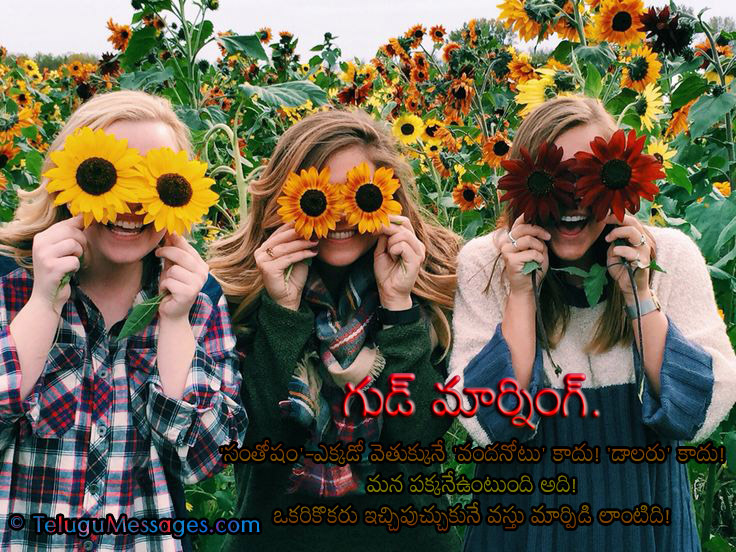 All people love their native language and like to send wishes in their language only. 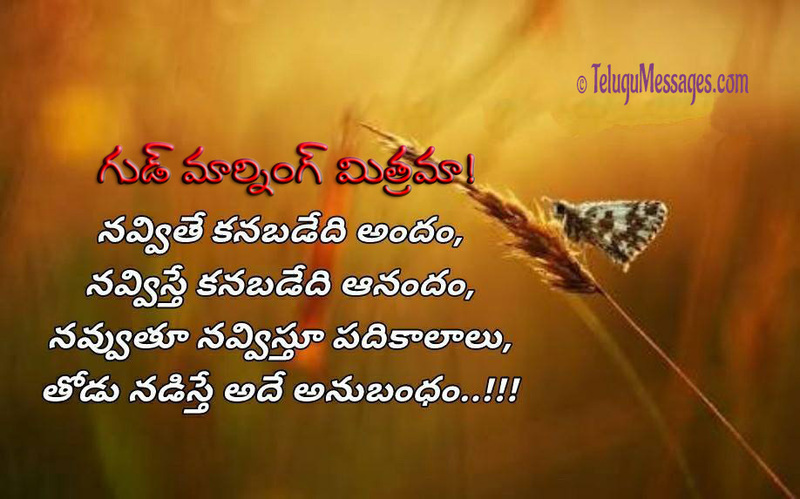 Here we are providing Beautiful and Inspirational Telugu Good Morning Quotes. Feel free to share/download all these images to share in Whatsapp, Facebook, Google Plus, Twitter and other social media. 1. Smile in the mirror. Do that every morning and you’ll start to see a big difference in your life. Mirrors don’t lie. They only show a part of truth. A broken mirror can enlarge a face up to a dimension of a small planet. A problem of reflection? A point of view. ప్రకృతి అద్దం రెండూ ఒక్కటే అద్దం నువ్వెలాగ ఉంటే అలాగే చూపిస్తుంది. ప్రకృతి నువ్వు దాన్నెంత కాపాడితే అది నిన్నంతే కాపాడుతుంది. 2. Friends show their love in times of trouble, not in happiness. A true friend accepts who you are, but also helps you become who you should be. A true friend can tell you how important you are without actually saying it. By just looking in their eyes you will see that they care. ఎన్ని మారినా కొన్ని మారవు నిజమయిన ప్రేమలు స్వచ్చమయిన స్నేహాలు. 3. When you wake up every morning, look in the mirror and give yourself a big Smile. There is only one happiness in this life, to love and be loved. Keep a smile on your face and let your personality be your autograph. ‘సంతోషం’-ఎక్కడో వెతుక్కునే ‘వందనోటు’ కాదు! 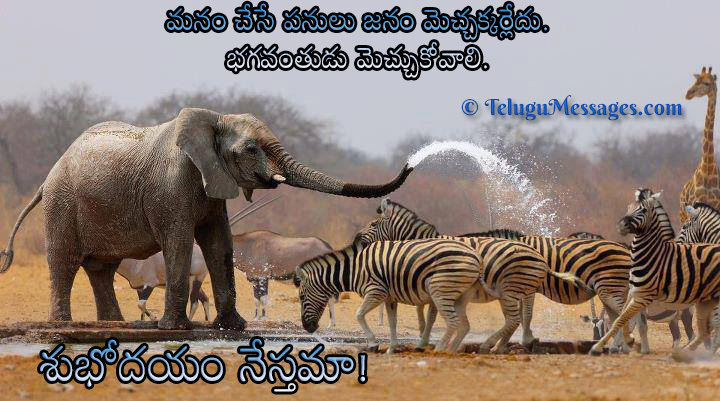 ‘డాలరు’ కాదు! ఒకరికొకరు ఇచ్చిపుచ్చుకునే వస్తు మార్పిడి లాంటిది! మనం చేసే పనులు జనం మెచ్చక్కర్లేదు. భగవంతుడు మెచ్చుకోవాలి. 5. Quote about winning and loosing. by anybody’s behaviour because I see you one step beyond your outer behaviours. 7. The only thing that will make you happy is being happy with who you are, and not who people think you are. Happiness is a choice, not a result. Nothing will make you happy until you choose to be happy. No person will make you happy unless you decide to be happy. Your happiness will not come to you. It can only come from you. 8. There is no way to happiness. Happiness is the way!! Happiness is not in things; it is in you!! 9. Love: it makes us smile, it makes us giggle and it makes us rejoice in the little moments we share together. In other words, love creates happiness in us as human beings. Hope you enjoyed all the good morning quotes. Please like our facebook page in the sidebar widget. Thanks for reading our blog. 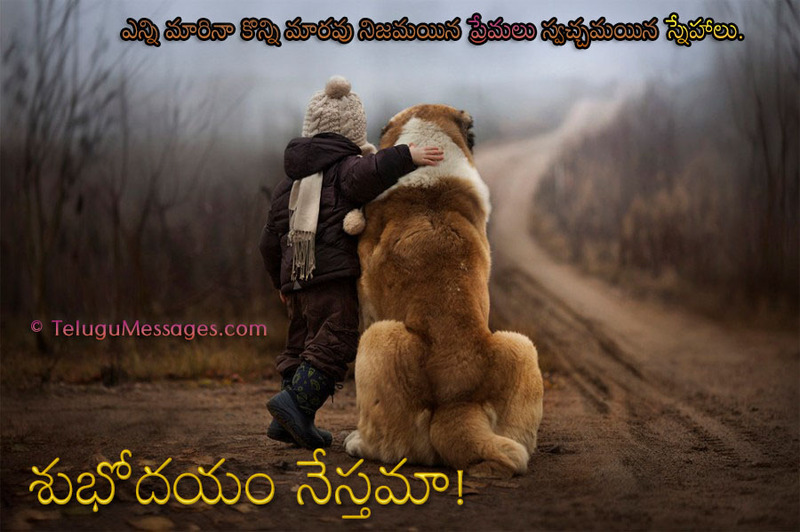 Hey Buddy!, I found this information for you: "10 Good Morning Kavithalu and Free Images to Share in Whatsapp". 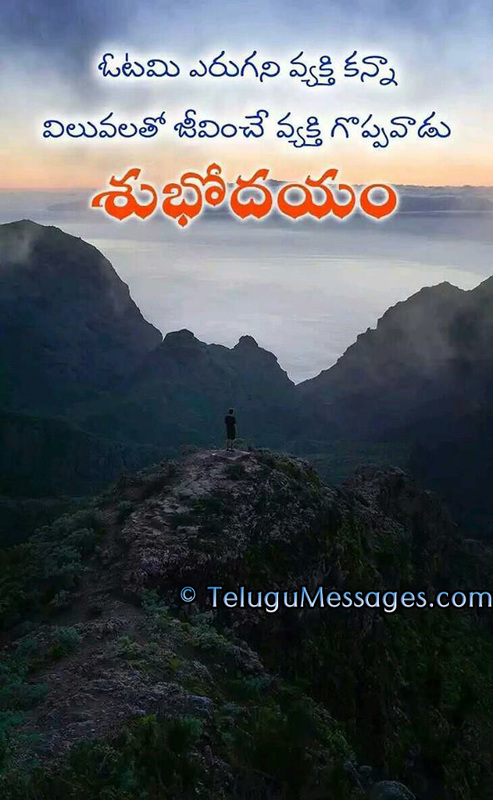 Here is the website link: https://www.telugumessages.com/10-good-morning-kavithalu-free-images-share-whatsapp. Thank you.